The PlushMat! 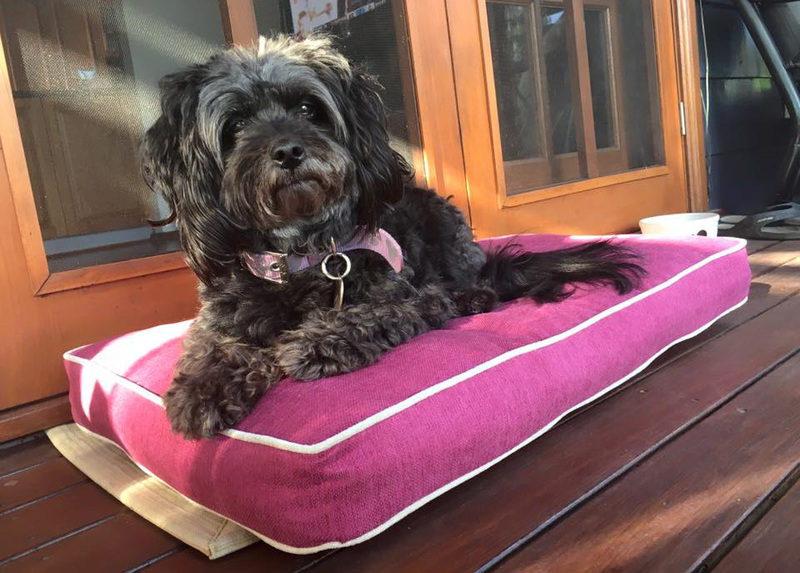 dog beds come in a great variety of stylish and sleek colours and textures. All the covers are removable and changeable, meaning that you can change the colour scheme whenever you like. Comfortable for your pets. This is especially important for dogs with arthritis, muscle pain and age-related ailments. The crumbed foam offers support and comfort - just like your own human bed! Easy to clean removable and machine washable covers - using commercial quality materials that won't fade﻿. Zip cleverly located within a hidden pocket to ensure that your smart dog can't open their PlushMat! The foam used is rot-resistant, mould-resistant, fire-retardant and also has anti-microbial properties, meaning that fleas and germs can't live within it. The PlushMat! is made in the Hunter Valley (Australia) using more than 90% Australian materials so you are supporting a local business. Customising your PlushMat! to suit your own style is as easy as 1, 2, 3! 1. 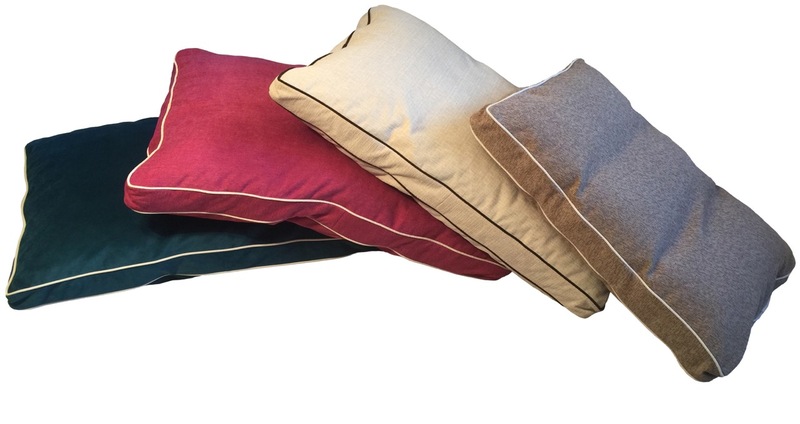 Choose from 4 very generous sizes to accommodate dogs of all shapes and sleeping styles. 2. Select your favourite on trend colour from Magenta, Mallard, Chocolate, Porridge, Rover Leaf, Sunshine Yellow, Scarlett Plush, Jet Black, Gunmetal or Alloy. Having a bed too large for your dog may make them feel isolated so if they only like curling up - maybe a slightly smaller bed is suitable. Having a bed too small for your dog may make them feel exposed and vulnerable - so if your dog always likes to stretch out - maybe a slightly bigger bed is suitable. The PlushMat! is water-resistant and is easy to wash but should only be used inside as it can get dirty. If your dog spends a lot of time outside, loves getting dirty or is a repeat offender who loves nothing more than ripping and scratching his bed, then the TuffMat! range which is waterproof and easy to clean may be a better option for you. FREE SHIPPING ﻿across ALL of NSW & VIC and most metro areas, with a maximum freight charge of $29.95 to anywhere in the country.